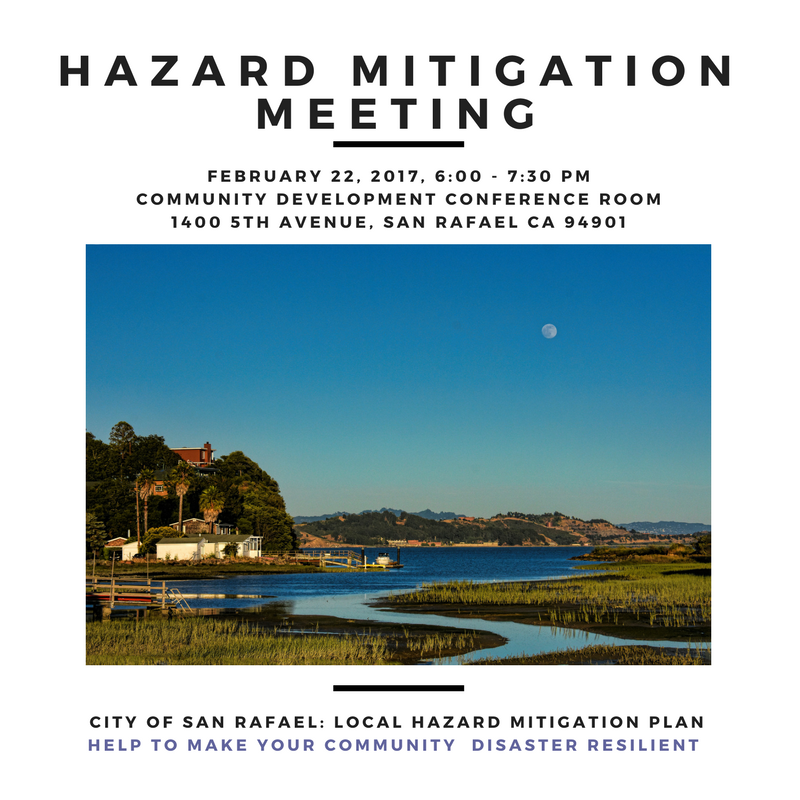 On February 22nd from 6:00 to 7:30 pm, the City of San Rafael will be holding a mitigation planning meeting in the Community Development conference room on the second floor of City Hall. At this meeting, participants will receive an overview of the LHMP project and review the City’s risk assessment maps, data and findings to date. The City will also be soliciting feedback on possible mitigation strategies and projects that address hazards of concern in the Community. If you can’t make it to the meeting on the 22nd please give us your feedback by completing this survey.